Cosmetic dentistry is a specialized field of dentistry that blends science and the art of natural smile aesthetics to achieve beautiful, healthy looking smiles and functional bites. Hayward, California, cosmetic dentist Dr. Gary G. Fong offers a spectrum of treatment options that are customized to your unique needs and aesthetic goals. 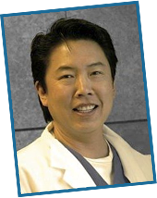 To learn how Dr. Fong can transform your smile, please call 510-582-8727 to schedule your personal consultation. Common cosmetic dental problems such as discolored teeth, unevenly spaced teeth and gummy smiles not only affect the appearance of your smile, they can also impact your self-confidence. Left untreated, many dental issues that seem merely aesthetic in nature can also have adverse effects on your bite and your oral health. Chipped or cracked teeth, for example, can contribute to rapid tooth decay; missing teeth can lead to progressive bone loss and the shifting of your remaining teeth; other cosmetic dental matters can lead to premature wear on your teeth or increase your risk for periodontal disease. If you’re unhappy with the state of your smile, Dr. Fong will discuss your cosmetic desires and dental needs with you, and recommend an individualized treatment plan to achieve your vision of a perfect smile. Although aesthetics are an important component of cosmetic dentistry treatments, many procedures—such as dental implant restorations and tooth-colored dental fillings—are designed to help you maintain bite function and protect your oral health. To learn more about your cosmetic dentistry choices, please contact Dr. Gary G. Fong. Dr. Fong is proud to provide highly personalized dental care to patients from Hayward, Castro Valley, San Leandro, Union City and the surrounding areas.